So you gathered a group of the finest players in the land, created characters, filled out their detailed character sheets, and even devised intricate back-stories to give them some personality. Whether you are deep into a campaign and looking for some good side quest ideas, or you are starting fresh and need an adventure or two while you figure stuff out, here are some fun Dungeons & Dragons quest ideas that I have dreamed up, just for you. A good quest never goes quite as planned. That's the beauty of D&D – the player's decisions will shape and change your carefully laid out plans until the quest you spent hours preparing has become completely useless. So get ready to think on your feet, challenge the players, and leave as much up to luck as possible. Just remember, winning means having fun! 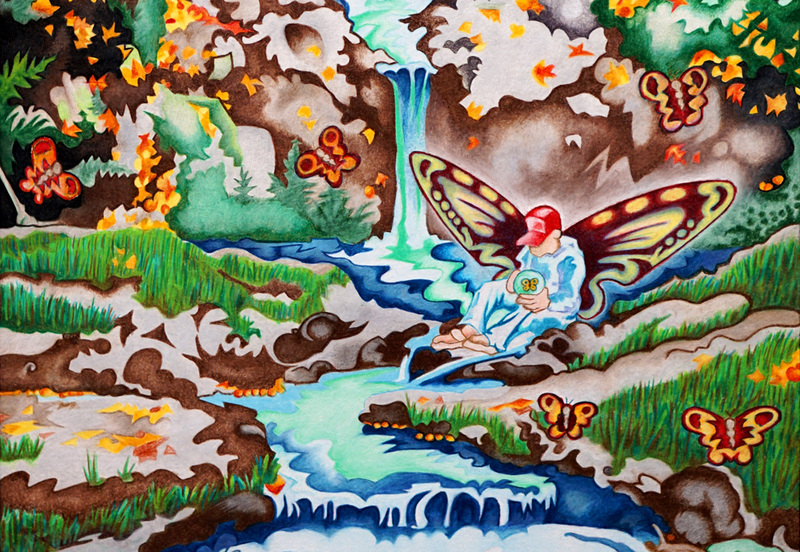 The characters meet a druid who has a stunning collection of butterflies he keeps in jars. But they soon find out from a local fairy the butterflies are actually innocent adventurers and forest creatures he has captured and transformed for his devious plans. Traveling in the mountains some unstable ground collapses and the players fall into an abandoned mineshaft. They must find their way out. The players rescue a young child from a party of orcs. She tells them her family is being held captive in an orc stronghold to the East. The PCs arrive at a large city and quickly realize the king and queen are extremely brutal and corrupt. The locals need only the slightest nudge before a full scale rebellion is set into motion. Bounty Hunt: The players are hired to track down and bring in a notorious gang of thieves hiding out in the nearby forest. Captured by evil dwarves, the players are stripped of their weapons and equipment and thrown in dark cells deep in the dwarven city. An old deserted castle looks like a great place to find some loot but a troll infestation may make the players think twice. A sprite approaches the characters pleading for help. The forest home of her people is being clear cut by a massive army. Will the players help her turn the army away and save the forest creatures? The characters catch word about a rumor of riches and magical items held in the abandoned castle of a recently deceased nobleman. Upon entering, it quickly becomes clear the castle is haunted. A mask is uncovered in a mining excavation and the wearer gains supernatural powers. Will the players wield it or will it fall into the wrong hands? People have been reported missing in town. Initial investigations indicate a pack of wild dogs, but tracking them down leads to the discovery of a group of evil shape shifters. The city clock tower hasn't worked for years, then one day it mysteriously stats running again... backwards, and time with it. Vampires are on the loose across the province – the king will pay handsomely for each one the PCs can dispatch. Traveling by sea, the players and the ship's NPCs are attacked by pirates. They wash up on a deserted island and must survive while devising a plan to get home. Drunk at the local tavern, the barkeep challenges the players to step through a magic portal where they must outsmart their evil doppelgängers. Captured as prisoners of war, the PCs are thrown into gladiator pits with rusty weapons and armor. They must fight to the top while devising a plan of escape. A local dragon is devastating the countryside, but after defeating it the characters awaken in the local inn in to find it was all a dream. Or was it? The town's water supply has been poisoned and people everywhere are deathly sick. It'll take some serious detective work to follow the clues but what they uncover is an intricate plot to assassinate a noble family. The sewers under the city are built upon the bones of an ancient castle and legend tells of unlimited riches within. An illusionist tricks the players into murdering helpless gnomes, which they think are goblins. Once the truth is discovered, and the illusionist is challenged, they find he is protected by a powerful black dragon. Or is that just an illusion too? A crazed lord is chopping off heads left and right. It's well overdue that someone challenged his authority. The players are given a tome of medical remedies which cures the sick and heals the wounded, but with the turn of events they find out it is slowly turning the treated into zombies! A dragon and dryad have fallen in love but the dryad's family doesn't approve. The dragon humbly asks the characters to stage an attack on the dryads so the dragon can protect them and prove his honor. It has to look real so hopefully no one gets hurt, and hopefully the dryads don't catch onto the deceit. A traveling merchant sells the players a plethora of Potions of Strength, which they must use to defeat an onslaught of trolls. Unfortunately it is a bad batch and while the potions significantly boost strength, they also decrease wisdom and intelligence, leaving the characters practically useless until they wear off. A dwarven blacksmith needs a special sulfur to make her signature, exceptionally finely crafted weapons. If the players gather some for her she'll reward them with the finest weapons they have ever seen. Oh yeah, the sulfur can only be found in the inner tunnels of an active volcano which is riddled with wyvern nests. The kingdom's darkest catacombs is where they toss the most notorious criminals. It's an underground city of filth, death, and backstabbing thieves. Unfortunately the king impulsively threw away a master thief with critical information about his enemy's military activity. The PCs are hired to enter the dungeon, locate the thief, and get to the extraction point in 24 hours. A twitchy tavern keep hires the characters to deal with a rat problem in his cellar. Upon investigation they find no rats but a homeless sleeping old man curled up in a corner of the tavern's rather large basement. The man doesn't respond to talking but upon being touched or prodded starts to shriek and grows long brown hair, transforming into a huge rat-like humanoid (a wererat). The players can fight the wererat or talk to him. If they engage in combat, keep in mind that wererats can only be harmed by silver or magical weapons. If they attempt to talk to the wererat they may find that the tavern keep is also a wererat. The tavern keep infected the man in the basement, who is the real owner of the tavern, before taking over the old man's business. How the adventure winds up in the end is up to the players. The city guard of a port town hires the characters to deal with a shark problem. The local fishermen and travelers have been getting eaten by a monster blood thirsty shark. The characters are going to need a boat. The heroes are hired to investigate why goblins, orcs, giant spiders, you-name-it, are randomly popping out of the sewers, being found trapped in basements, and washing up on the shore of the near-by-river. Upon investigating they find that monsters are being smuggled into the city underground by a wicked cult. As they investigate the city underground they spring a trap and a giant boulder comes rolling down the passage (Indiana Jones style) and forces them to retreat in the opposite direction. After running for their lives they find themselves trapped in an underground gladiator cage where the cult leader announces, "New blood has entered the arena!" The heroes must fight tooth-and-nail against enraged monsters for the cult's entertainment. Will the players be able to escape and report what has befallen the city? Hopefully these quest ideas are useful to you, or at least you enjoyed reading them. This list is a good start but I'll be sure to add more with time. Have a suggestion for the list? Post in the comments! I love these so much! I needed some filler side quests for my game, but wasn't feeling too inspired. Thank you for sharing these.